Following the publication in Economic Thought of my paper “A Quantum Theory of Money and Value” I have received a number of interesting comments and questions from readers, and this post is an attempt to clarify some of the points which came up. For a description of the theory, please see the paper, or (for the book version) The Evolution of Money. What is a money object? These are objects – either real or virtual – which have a fixed numerical value in currency units. Just as quantum objects have dual real/virtual properties, so do money objects (bitcoins don’t seem like objects, until you lose the hard drive they are located on). Money objects are unique in that they have a fixed numerical price. Other objects or services attain their price by being traded for money objects in markets. The comparison with quantum theory comes about because money is treated as a fundamental quantity (from the Latin quantum); and money objects are a way of combining the notions of number and value, which are as different from one another as the dual wave/particle properties of matter. For example, number is stable, while value varies with time. Money objects are therefore fundamentally dualistic. As mentioned in The Evolution of Money, other authors and economists (and many others) have used the term “quantum” in different ways. One example is Charles Eisenstein’s Sacred Economics, where in an appendix called “Quantum Money and the Reserve Question” he notes “the similarity between fractional-reserve money and the superposition of states of a quantum particle,” in the sense that money can seem to exist in more than one place at the same time. The quantum macroeconomics school, also known as the theory of money emissions, which dates to the 1950s, gained its name from the idea that production is an instantaneous event that quantizes time into discrete units. A completely different concept is quantum money, which exploits quantum physics in an encryption technique. One thing is the history of money. The most concrete example of a money object is a coin, which consists of a number pressed into a piece of metal. These date to the time when Greek philosophers were developing the first theories of mathematics. Pythagoras believed that the universe was based on number, and money can be seen as a way of making that true by impressing numbers onto the real world. However mixing the properties of number and things produces a strange kind of alchemy. See this presentation for the 2015 Marshall McLuhan lecture at transmediale in Berlin for a discussion. How does this differ from the usual understanding of the role of money? One consequence of the theory is that it inverts the usual narrative of mainstream economics. Since the time at least of Adam Smith, economists have downplayed the importance of money, seeing it as a kind of neutral chip that emerged as a way of facilitating barter. But instead of money emerging from markets, it is more accurate to say that the use of money (jumpstarted by the state) prompted the emergence of markets. And far from being an inert chip, money is an active, dualistic substance with powerful and contradictory properties. Putting numbers on things changes the way they behave. What is the mathematical map or connection between price and value? In general there is no such map. Price is an emergent property, which means it need not be computable at all. Of course it is possible to come up with some rules of thumb, but there are no fundamental laws as in physics. The quantum properties of money and the economy as a whole are explored in the new book Quantum Economics: The New Science of Money. For a discussion of the mathematical background, please see: Introduction to the mathematics of quantum economics. Read an excerpt from The Evolution of Money here. This week (June 27-July 1) the Columbia University Press blog will be featuring content from or about The Evolution of Money, starting with a book giveaway – you can enter the competition for a free copy here. Book Extract – Do We Own Money, or Does Money Own Us? 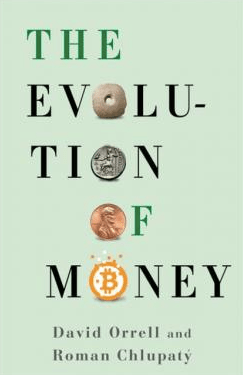 Extract from new book The Evolution of Money at Evonomics.